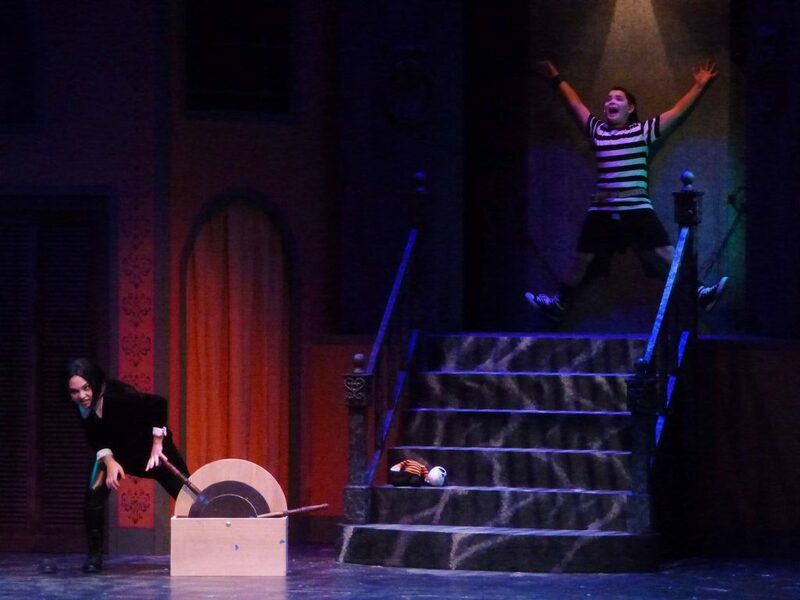 “The Addams Family,” performed at the Tacoma Musical Playhouse, showcases one of Bellarmine’s own talents, junior Emilie Hanson, and keeps audience members toe-tapping throughout the entire performance. 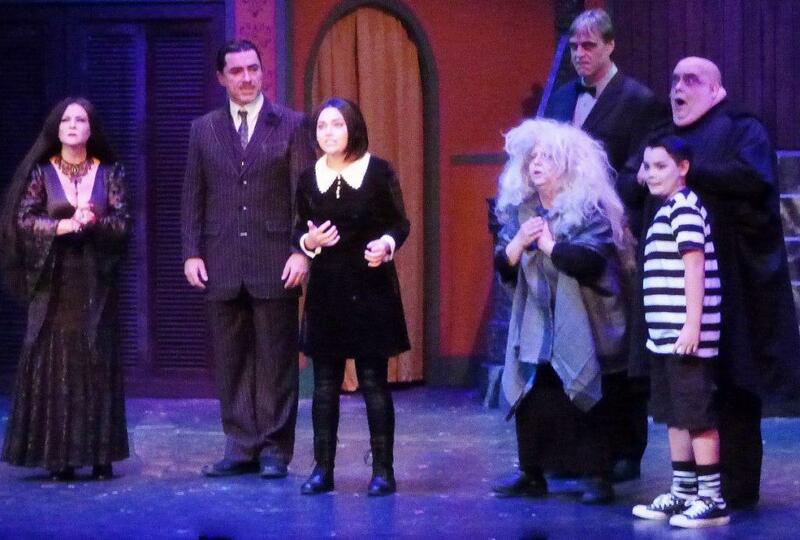 For those not familiar with the musical, “The Addams Family,” is based off the cult-classic television series, and centers around two different families whose cultures conﬂict when their children begin dating. Wednesday Addams (Savana Smith) and Lucas Beineke (Jake Atwood) only want a chance at love, but their families have other ideas about their futures. A captivating tale for both old and young alike, this Halloween tale has some of the younger audience members dressing up in costume. The matinee was ﬁlled with older audience members, but the crowd still remained energetic, laughing as the cast joked about current subjects and pulled out some classic one-liners. 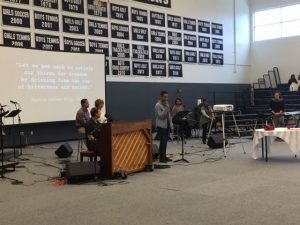 With catchy tunes like, “Full Disclosure,” “One Normal Night” and “Crazier Than You,” constructed by Musical Director, Jeffrey Stvrtecky, the cast creates an entertaining show that kept me smiling throughout the two and a half hour run. Director and choreographer, Jon Douglas Rake, beautifully weaves together a story of mystery and hilarity, with creative choreography and clear direction. Hanson has been rehearsing this show since the summer, and plays one of the Addams ancestors. Make sure to watch as she and the other ancestors dazzle the stage with dancing and general piazza. This show has some side-splitting moments, and show-stopping songs, so be sure to catch it before Halloween arrives. Special mention should be given to Grandma (Shelleigh-Mairi Ferguson) who captivated the audience in a memorizing performance with a truly hilarious character. 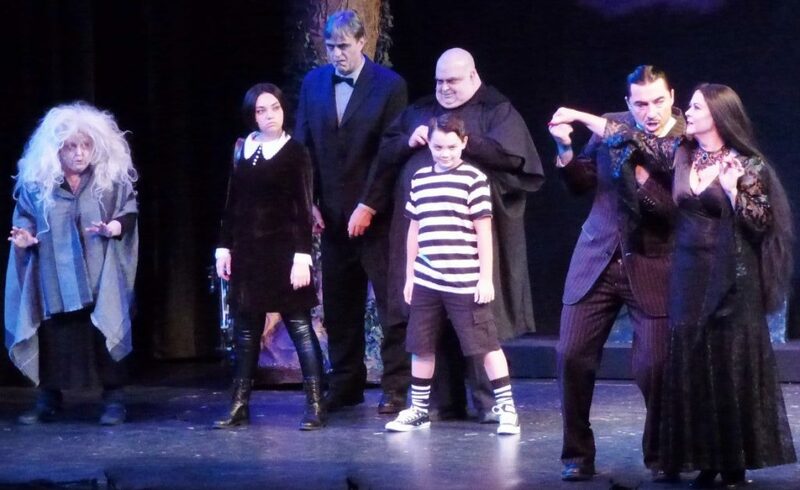 Other cast members include: John Kelleher as Uncle Fester, Callan Barth as Pugsley Addams, Jonathan Bill as Lurch, Erik Furuheim as Mal Beineke, and Michele Bettinger as Alice Beineke. The Addams Ancestors include: Colin Briskey, Cassandra Dechant, Lindsay Hovey, Sean Kilen, Kathy Kluska, Derek Mesford, John Miller, Tasha Smith and Corey Thompson. The show runs until Sunday, Oct. 16, at Tacoma Musical Playhouse. Tickets can be purchased at www.tmp.org or at 253-565-6867.